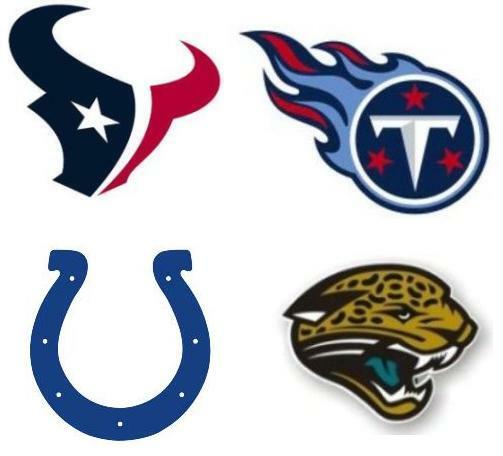 Today I look at the AFC South. The Texans draft seemed to be a statement from the new staff. This team will be a nastier, tougher team, which in my opinion was long overdue. Bill O’Brien is a no nonsense coach and this draft reflects that belief. Jadeveon Clowney is a very athletic, explosive player with freakish size and speed. He was a defensive end at South Carolina, but he will be asked to convert to outside linebacker in Romeo Crennel’s 3-4 scheme. The knock on Clowney was his work ethic, however the Texans have three coaches on their staff that were on the Gamecock’s staff in 2011, including strength and conditioning coach Craig Fitzgerald. The Texans had to be comfortable with Clowney’s work ethic if they drafted him #1 overall. Clowney had hernia surgery last month, but should be ready to go by the start of the season and should start at one of the outside linebacker positions. Clowney will team with defensive end J.J. Watt and linebacker Whitney Mercilus to give the Texans a fearsome pass rush. The Texans did not re-sign left guard Wade Smith so guard was a big need. Xavier Su’a-Filo will bring a toughness and nastiness to the Texans offensive line. He is currently running behind Ben Jones at the position, but that’s only because he missed some of the early workouts due to an NFL rule about rookies working out before their class graduates. Once training camp starts I would be shocked if Su’a-Filo didn’t capture the starting left guard position. I didn’t like the C.J. Fiedorowicz pick at first, but after hearing later how much O’Brien likes to use multiple tight ends, it made sense. Fiedorowicz is a good blocker and a big target that does a good job on short – intermediate routes. He catches the ball in a crowd and is a dependable receiver on 3rd down. Going into camp, he is behind Garrett Graham and Ryan Griffin on the depth chart and he should have no problem making the opening day roster. I thought Louis Nix III would be a 1st rounder or at least a high 2nd rounder. Nix fell because of rumors about his work ethic and love for the game. Nix is a huge, strong nose tackle that moves better than he’s given credit for. He has very good quickness in short areas. His big drawback in the past has been conditioning. Nix needs to work to get in better shape so that he can play more snaps and not get worn out so easily. Going into camp, Nix trails Jerrell Powe on the depth chart, but I will be shocked if he’s not the starting nose tackle on opening day. As draft day approached, there was a definite buzz around Tom Savage. Texans fans were sweating in the 4th round and still no QB taken. I think Savage is a steal for the Texans. He won’t start right away, but he will learn the system and will eventually take over as the starter. Savage has the size that O’Brien likes and has a big arm. He is tough and is a cool QB under pressure. Ryan Fitzpatrick should begin the season as the starter, but keep an eye on Savage because I believe he is the future of the franchise. Jeoffrey Pagan is a blue-collar player that doesn’t stand out physically, but he is a good football player. He doesn’t blow you away, but he will bring his lunch pail every day and work hard. He will be competing with Tim Jamison, Keith Browner and Ricardo Mathews for the backup job to starters JJ Watt and Jared Crick. It may be tough for him to crack the 53 man roster, but he should be able to claim a spot on the practice squad. Alfred Blue is a big, lanky running back with an upright running style. Blue was never the starter at LSU and he never ran for more than 550 yards in a season. The Texans seem to like Blue and he goes into camp as the fourth running back behind Arian Foster, Andre Brown and Dennis Johnson, but don’t be surprised if Blue doesn’t make the opening day roster. Jay Prosch is another tough football player that coaches love. He is a physical lead blocker and he is good at pass protection. Prosch goes into camp behind Brad Smelley at fullback. This competition should be interesting. I think Prosch has a decent chance to be the starter. Andre Hal doesn’t have great speed, but he is very fluid. He is a scrappy player that transitions smoothly from his backpedal. Hal is a big hitter and has experience returning kicks. He goes into training camp competing against Josh Victorian, Brandon Harris, and Elbert Mack for the final corner spot on the roster. He has a decent chance at nailing down a roster spot, but if he doesn’t, he should be on the practice squad. Lonnie Ballentine was Mr. Irrelevant. He is a big safety with good straight line speed (sub 4.4 40) and lower body explosion (38” vertical jump). It may be tough for Ballentine to make the opening day roster. He will have to beat out Eddie Pleasant, Chris Clemons, and Shiloh Keo to make the team. I look for him to be a practice squad player. The Colts offensive line was abysmal in 2013. They needed help desperately from the draft. Jack Mewhort is a versatile player that has played both guard and tackle. He is a strong run blocker that is tough and smart. Mewhort looks to be better suited for guard and goes into camp as a backup to starters Donald Thomas and Hugh Thornton. As bad as the Colts line was last year, I don’t see any way that Mewhort doesn’t become the starter fairly quickly. Donte Moncrief is a height, weight, speed specimen. He is 6’2”, 221 pounds and ran a 4.4 40 at the NFL Combine. Moncrief played in a system that throws the ball around a lot. He only caught 59 balls in 2013, but he averaged almost 16 yards per catch and had 6 TD’s. The knock on Moncrief is his route running and inconsistent hands. Going to camp, Moncrief is the #5 receiver behind Reggie Wayne, TY Hilton, Hakeem Nicks and Da’Rick Rogers. Moncrief should have no problems making the roster and if Wayne has another injury he could get some action in multiple receiver sets. Jonathan Newsome was a defensive end at the collegiate level, but he has the size, speed and athleticism to convert to outside linebacker in the NFL. Newsome plays with good leverage and is a high motor player that chases the ball all over the field. He shows good pass rushing skills, but may struggle dropping into coverage. Going into camp, Newsome will be competing with Andy Studebaker, and Bjoern Werner as the backups to Robert Mathis and Erik Walden at outside linebacker. He should be able to land a spot on the opening day roster. Andrew Jackson is a big, physical downhill thumper. He doesn’t have great speed or athleticism, but he is a very good run stuffer. Going to camp, he will be competing with Mario Harvey for a backup spot to starters D’Qwell Jackson and Jerrell Freeman. He should be able to make the 53 man roster. Ulrick John is a long, lean offensive tackle with good athleticism. He will likely be a developmental player that will go to the practice squad. The Jaguars offense was horrible the last couple of years. They needed a QB in the worst way and they wasted no time in getting one. They used the 3rd overall pick on Blake Bortles. Bortles is a big, tough player with a big arm. Bortles has surprising athleticism and moves better than most people think. He led UCF to a surprise upset over Baylor in the Fiesta Bowl. Going into camp, Bortles is the backup, but how long is it before he gets on the field? I mean his competition is Chad Henne… nuff said. With Justin Blackmon being indefinitely suspended, the Jags needed help at receiver. Marquise Lee is an athletic receiver that is a good route runner. Lee is an explosive player that hits tops speed quickly and runs well in traffic. Cecil Shorts will be one of the starting receivers. Lee and 3rd round pick Allen Robinson will be competing for the other starting spot. Robinson is a bigger, more physical receiver that lacks the speed of Lee. Robinson has the size to beat press coverage and the combination of his 6’2” frame and 39” vertical make him a threat in the red zone. The competition between Lee and Robinson should be interesting. Brandon Linder has good size and is a scrappy player. He isn’t the best athlete, but he is a tough, hardworking player that loves to battle. Going into camp, Linder is penciled in as the starting right guard. Aaron Colvin is a high value pick in the 4th round. Colvin was rated as a possible 1st round pick, but then he tore his ACL in the Senior Bowl which required surgery. Colvin will likely be stashed on injured reserve this year and will be given a good chance to compete for a roster spot in 2015. Telvin Smith is an undersized linebacker that flies all over the field. He is a disruptive player with a high football IQ. Smith is a perfect fit for the weak side of this scheme. Going into camp, he will be competing with JT Thomas as the backup to starter Geno Hayes. He should have no problem making the opening day roster. Chris Smith was a defensive end at Arkansas, but he will be asked to convert to linebacker in the NFL. Smith’s athleticism and ability to run to the ball should help him to make the transition. He has good quickness and has very good burst off the ball. Going into camp, he is listed as the backup to John Lotulelei on the strong side. Luke Bowanko is a versatile player that has played both center and guard. He has good size and is stout at the point of attack. He may have a hard time making the 53 man roster since he goes into camp behind Mike Brewster, Patrick Lewis and Matt Stankiewitch on the depth chart. I love the pick of Storm Johnson in the 7th round. Storm certainly describes the way he attacks a defense and he loves to run between the tackles. Johnson has a good chance to make the opening day roster since he goes into camp behind Toby Gerhart and Jordan Todman. Gerhart has never been “the guy” in the NFL, so if Johnson has a good camp, he could be a sleeper to become the starter. The Titans got a nasty, athletic player in Taylor Lewan in the 1st round. He is a big 6’7” tackle with long arms that has the ideal size for a left tackle. Lewan is an intense player that will be an energy producer for the Titans offense. The Titans signed Michael Oher as a free agent, but they couldn’t pass up on the talented tackle. Lewan should be the starting right tackle with Michael Roos the starter on the left side, however, Lewan has the ability to move to the left side if needed. After losing Chris Johnson in free agency, the Titans needed a running back. I had Sankey as my 2nd rated running back in this draft. He isn’t a speed back like Johnson. Sankey is a workhorse that likes to run the ball between the tackles and gets better in the 4th quarter. The depth chart shows Shonn Greene as the starter, but I don’t think it will be long before Sankey becomes the starter. Daquan Jones weighs 322 pounds, but the Titans are looking at him as a defensive end in their switch to a 3-4 defense. He is a strong player that is quick off the ball and has the ability to move inside on passing downs. Jones will have to beat out Ropati Pitoitua, Karl Klug, Lavar Edwards and Mike Martin to get a backup spot. Those are tough numbers to beat, but I think he should make the opening day roster. Marqueston Huff is a versatile player that can play safety or corner and is also a very good special teamer. He has a long frame and he is very fluid on the field. The Jaguars are looking at him as a safety and he goes into camp behind Bernard Pollard, Michael Griffin, George Wilson and Daimion Stafford. Because of his versatility, I think he has a good chance at making the club, but if he doesn’t make the 53 man roster, he should make the practice squad. Avery Williamson has good size and speed. He is a hard worker that understands the game. It may be tough for him to make the team since he goes into camp behind Wesley Woodyard, Colin McCarthy, Brandon Copeland and Zach Brown on the depth chart. Look for him to be a practice squad guy. Zach Mettenberger is an interesting pick in the 6th round. Mettenberger is a guy who struggled early in his career, but got better in every game that he played. He really blossomed under the coaching of Cam Cameron his senior year. The only worry I would have is his mobility and he’s coming off of a knee injury late in the year. Going into camp, he is behind Jake Locker, Charlie Whitehurst and Tyler Wilson on the depth chart. The Titans can’t be sold on Locker as their starter and I think Mettenberger has a good shot at making the roster. Who knows? A couple of years from now, he could be the face of the franchise. If so, he was a steal in the 6th round. Next Wednesday, I will be concluding the series with my analysis of the AFC West. If you like what you read, please like us on Facebook and recommend us to your friends. This entry was posted on July 23, 2014 by draftmaniacs in Draft Analysis and tagged 2014 NFL draft, AFC South, AFC South draft, Bishop Sankey, Blake Bortles, Donte Moncrief, Houston Texans, Houston Texans draft, Indianapolis Colts, Indianapolis Colts draft, Jack Mewhort, Jacksonville Jaguars, Jacksonville Jaguars draft, Jadeveon Clowney, Louis Nix III, Marqise Lee, NFL, NFL Draft, Taylor Lewan, Tennessee Titans, Tennessee Titans draft, Tom Savage, Zach Mettenberger.